Join us for Casino Royale, Byron style! 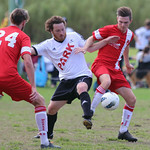 Damon Bell’s Park Hotel Byron Bay Rams have, for the second year running, battled their way into the Grand Finals of both the Premier and Premier Reserves Division. 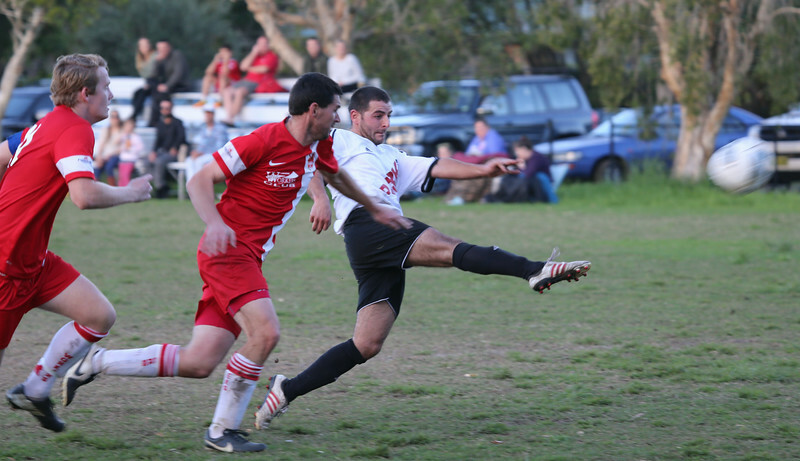 In a week of powerful and entertaining football the Premier Rams confirmed their dominance of the division and secured their Grand Final spot with a thumping 4-1 win over second placed Richmond Rovers at the Rec Grounds on Tuesday night. Despite some dangerous counter-attacks from a spirited Rovers, the result never looked to be in doubt. The Rams attack set up camp in the Rovers half an hammered the Rovers defenders for much of the game. 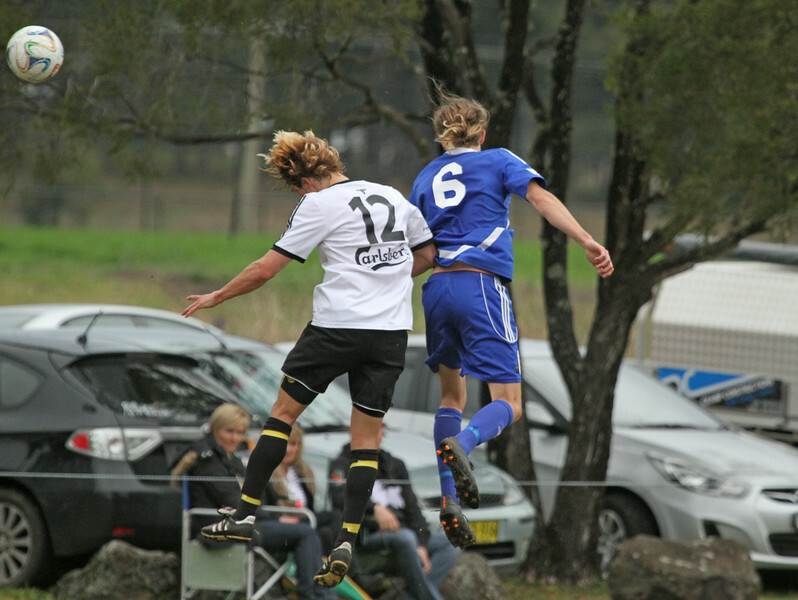 A free-kick won on one of Rovers’ forays into Byron territory put the Lismore squad on the board, but they were no match for the Rams slick, fast and relentless attacking game. 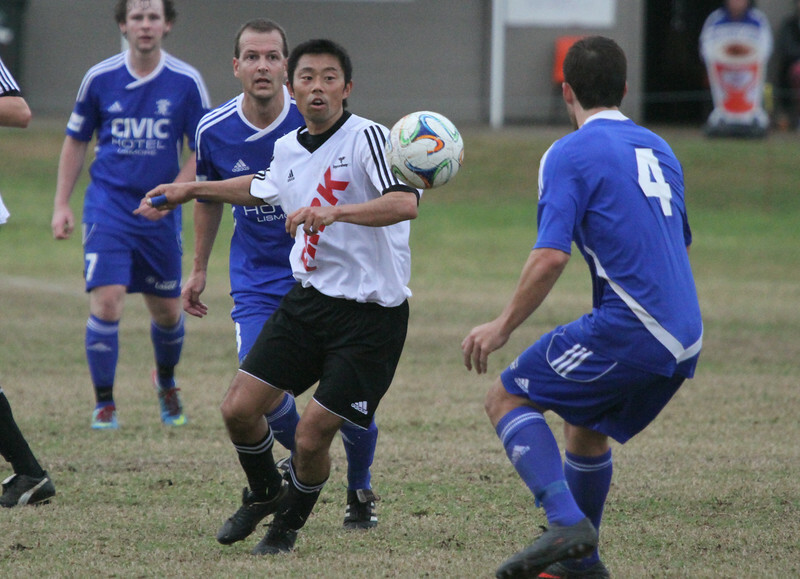 A diving header from Kazuhiro Tsukamoto opened the account for Byron. 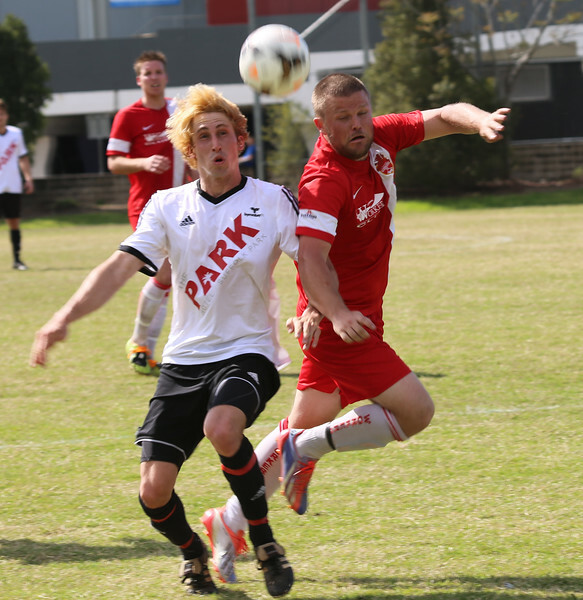 A neat tap in from James Tomlinson made it two and an exquisite long-ranger from Conner Cannon and a header from Herick Schuenemann cemented Grand Final favouritism for the Rams. 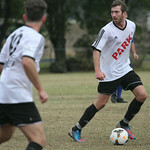 After finishing fifth in the pointscore competition, the Rams Reserves had to beat the fourth, third and second placed squads (three games in nine days!) to make it to their Grand Final. 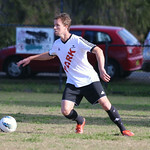 The Reserves have had a mixed season, with a run of six draws seeing a quality side struggle to reach the finals. Having made the cut, however, the Ressies have hit their straps and, in some spectacular performances, have fought their way through. 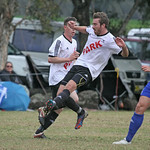 Saturday September 5 saw the second string Rams take a convincing 3-0 win over 4th placed Lismore Thistles and, the following Wednesday night, completely dominate their Semi against Alstonville to come away with a 1-0 win. 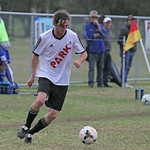 On Saturday, the 14th, the Rams travelled to a very hot Lismore to take on second placed Lismore Workers. Byron seemed to have the edge over a tough and determined Workers but as the contest swung from end to end, neither squad managed to find the net. After ninety gruelling minutes, the match was still locked at 0-0. Twenty minutes of extra time failed to break the impasse and the match went to a penalty shoot-out. As the crowd and players held their collective breath, player after player stepped up to face the keepers. A miss from each side had the crowd on tenterhooks but a suburb save from stand-in keeper Damien Smith gave Byron the edge. 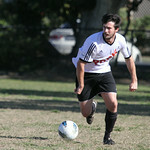 The winning goal was slotted home by defender Theo Pavil to take the Rams through to a hard won Grand Final spot. 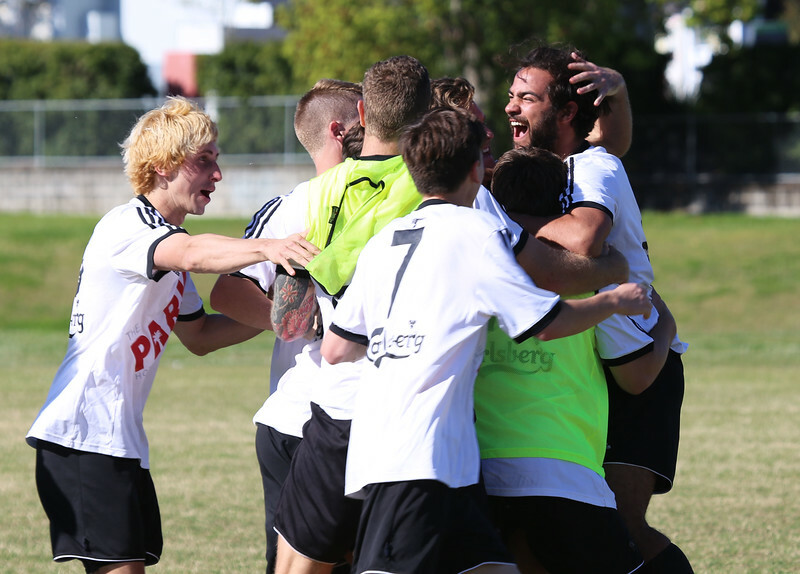 With the Premier Rovers having won their second-chance semi against Workers, the season finale will be Byron Bay-V-Richmond Rovers in both divisions. The Grand Finals will be played at Oakes Oval in Lismore next Saturday (September 20) with the Reserves kick-off at 4.15 and the Premier League at 7pm. Be there for what promises to be the best football of the season! 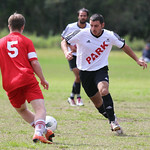 With their positions in both Reserves and Premier Division finals series locked in, the Park Hotel Byron Bay Rams hosted two strong Lismore Workers teams on Saturday’s finale round of the FFNC championship. 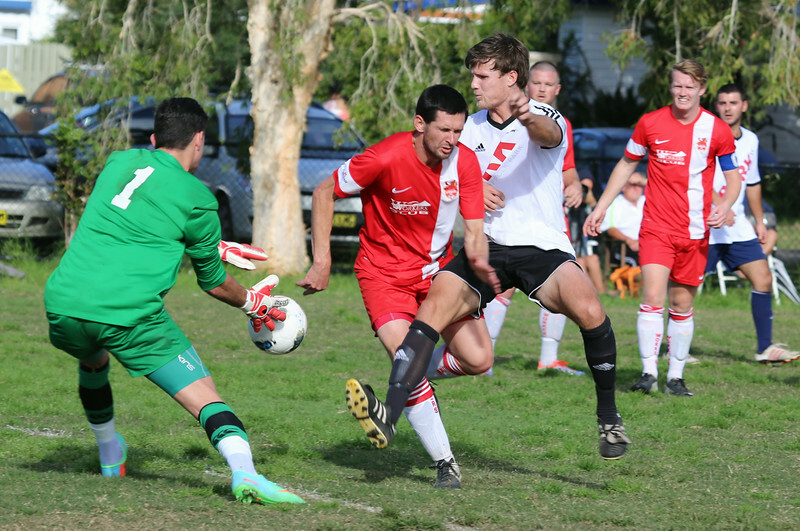 The Rams Reserves, finishing in fifth spot on the competition ladder took on second placed Workers in what proved to be a dogged battle for dominance and goals. Despite impressive work from Benny Ahern, Jonathan Pierce, Dakota Dixon-King and Connor Cannon, the Redmen were just too strong for the Byron boys. Workers found the net three times while Steve Kirkpartrick put Byron’s only goal on the board with a clinical finish. 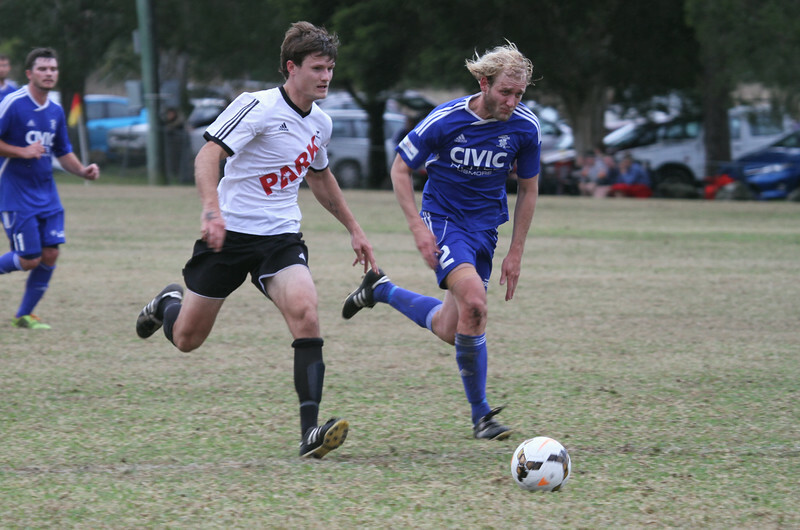 In the Premier Division, It was a tough final Round for Byron’s Minor Premiers who couldn’t seem to win a trick. The play was all Byron’s way from the beginning but a spectacular ‘goal-of-the-season’ from Connor Cannon was disallowed for a high foot infringement. A controversial (aren’t they all?) 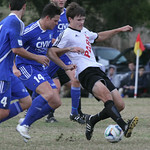 penalty and another red card for Byron defender Sam McIntyre gave Workers a tenuous lead and reduced the Rams to ten men before half time. A gutsy performance saw the 10-man Rams continue to dominate after the break, with sustained attacks from Kazuhiro Tsukamoto, James Tomlinson, Connor Cannon and Barry Woods putting the pressure on the Workers defence and keeper, Simon Cleaver. It was a fine performance from the Rams, who, despite losses in the final rounds, go into the finals series on top and as solid favourites for a second consecutive title. 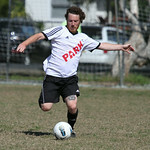 The win takes Workers into second place, pending the outcome of the Rovers-V-Thistles clash on Tuesday night. 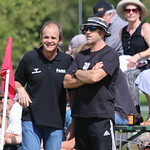 The pendulum swung true on Saturday when the Park Hotel Byron Bay Rams travelled to Lismore to meet arch rivals Lismore Thistles for the penultimate round of the 2014 season. 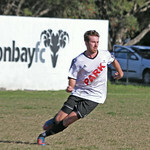 The Reserve grade match was yet another frustrating outing for the Byron boys. The second string Rams, despite totally dominated proceedings in the first half, couldn’t seem to find the net. The Thistles reserves, conversely, rarely made it into Rams territory but did manage to win a penalty and lead 1-0 into the break. 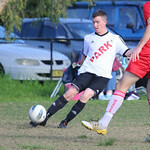 The second half saw more Rams attacks broken on the Thistles defence until a late cross from Tane Meek found the head of Steve Kirkpatrick who in turn found the net to equalise and salvage a point for Byron. The Premier Rams fared no better. With the Minor Premiership already secured, the Rams Prems had little to play for beyond their long standing rivalry with Thistles. The Lismore squad, however had second spot in their sights and a lot of pride on the line. While still down a couple of key personnel, the Rams played their usual fast and efficient football but seemed to lack the hunger and passion of the Thistles. Despite solid performances from the entire team, and the outstanding work-rate Kazuhiro Tsukamoto, Michael Kelly, Barry Wood and Jono Pierce, the Rams’ never quite hit their straps. 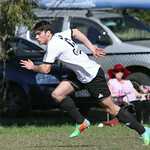 Tsukamoto ran riot among the Thistles defence and James Tomlinson had yet another titanic battle with Thistles towering defender, Max Hospers, but the Rams remained scoreless. Thistles once again made the most of their forays into Rams territory and finished a gruelling match two goals up. Byron keeper, Chris Jones, lost his usual composure after Thistles' second goal and found himself looking at a red card. 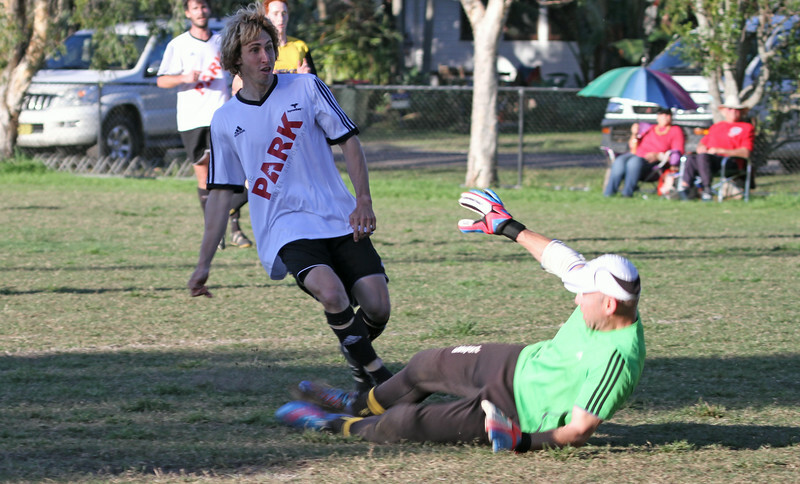 Coach Damon Bell will have to find a replacement keeper for the final match of the season against Lismore Workers. The final round, a home game for the Rams, will most likely decide who takes second spot for 2014 and will undoubtedly be another hard-fought battle. Reserves kick off at 1pm and the Prems at 3pm. Byron bags the 2014 Minor Premiership! 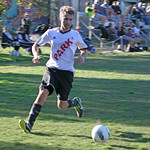 Last year’s Major Premiership winners, the Park Hotel Byron Bay Rams, have sewn up the 2014 Football Far North Coast Premier Division minor premiership with a solid win over a valiant Goonellabah. 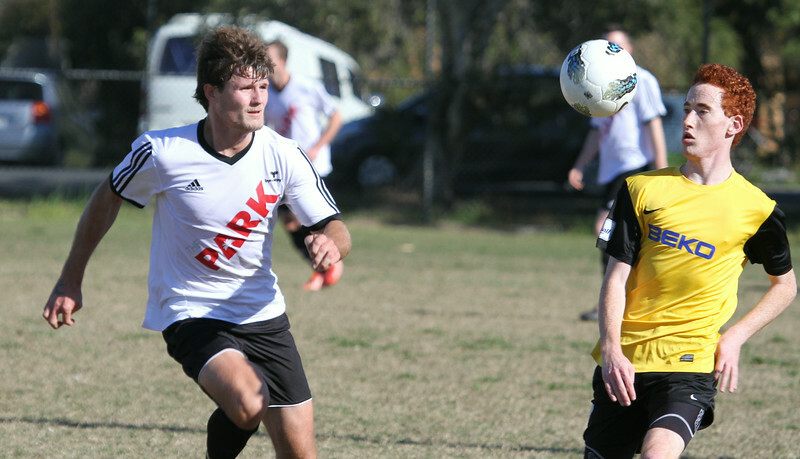 After springing Bangalow’s offside-trap strategy and handing the ‘Dogs their biggest defeat of the season (4-1) in the previous round – the Rams enjoyed a week off before Sunday’s visit from Goonellabah. The Rams Reserves set the tone for the day, with a powerful display that netted six impressive goals - two each to Steve Kirkpatrick and Javier Herrais and one apiece to Sam Owens and Herick Schuenemann. 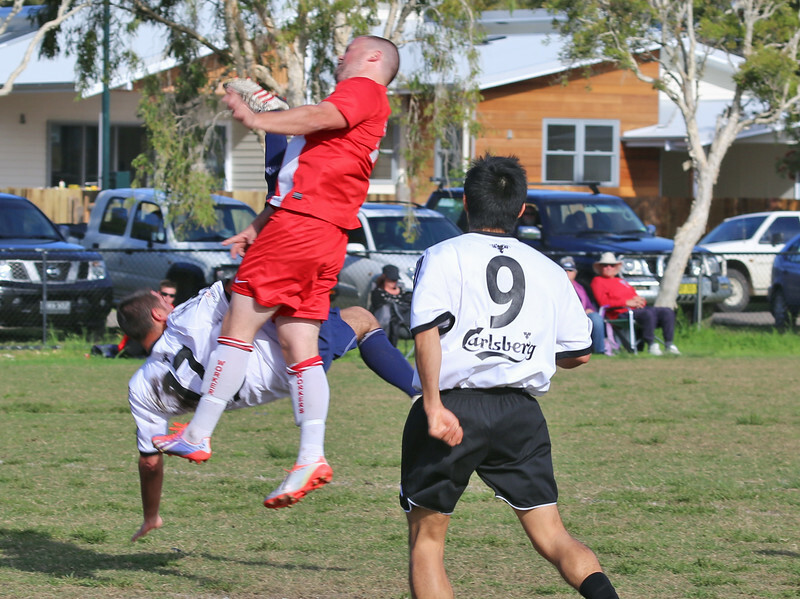 The win boosts the Reserves finals aspirations, giving them a five point margin over sixth placed Goonellabah and putting them in hot pursuit of fourth placed Alstonville – one point down with two rounds remaining. 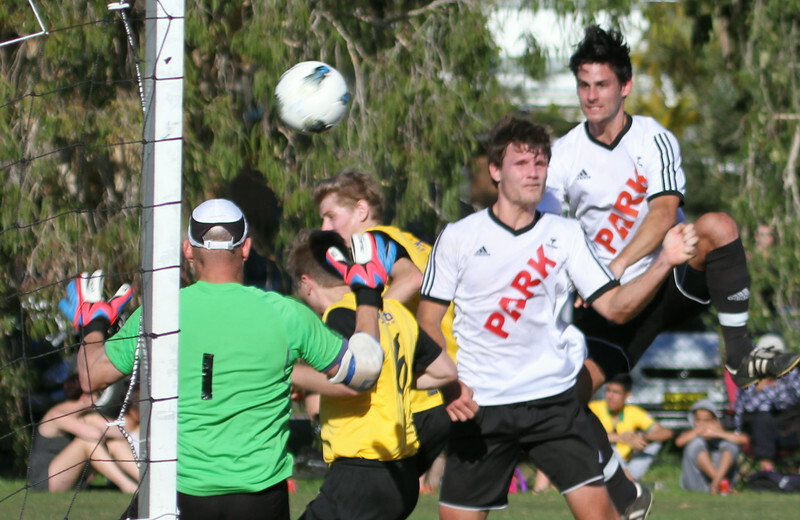 In the day’s headline match, Goonellabah’s Premier division squad put in a gritty and determined performance against the reigning champs. The Byron back-line worked hard to contain a spirited attack from the Hornets and the Rams went into the break one goal up after a high-flying header from Sam McIntyre. The second half saw the Rams a little more fired up and in control. Goals from James Tomlinson and late substitute Jonathan Pierce took the champs to a hard earned 3-0 victory. A nine point lead with two rounds to go has secured the 2014 Minor Premiership and Damon Bell’s all-conquering Rams now have their eyes firmly fixed on finals series. A win in the Grand Final would give Byron their second consecutive Major Premiership and their first double since 2006. Next Saturday, the Rams meet their Anzac Cup nemesis in Lismore for what promises to be another tough and fiery encounter. 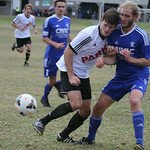 Reserves kick off at 1pm and the Prems at 3pm.